This is a sponsored post for Tom’s of Maine long lasting natural deodorant, a brand I’ve used for a long time. All opinions are definitely my own. I never knew my great grandma, but they say I take after her in size. She was very short and on the thicker side. Just like me. She died of cancer and the story was passed down that she believed it was from chemicals from certain products she was using. This was before the times where any personal care item was thought to be bad for you. It makes you think. Around twelve years ago we started our crunchier lifestyle. One of the first things I changed was my deodorant. Why? Because I decided there are certain ingredients I want to avoid when it comes to underarm protection. 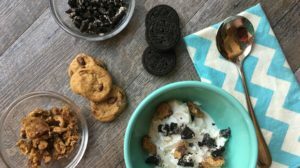 As a mom I want to choose something for my crazy busy days, but don’t want it to harm my body. That is why I switched to Tom’s of Maine 24 hour long-lasting deodorant. It is the #1 long lasting natural deodorant brand with a number of award-winning products among its deodorant portfolio. The Tea Tree scent is fairly new and I really really like it! When I say crazy busy days I mean it. Depending on our after school activity for the day, I might not get home til after seven o’clock. I don’t have time to re-apply or even think about how my deodorant is doing for the day. I need to depend it on from when it is first put on at 6:15 am. 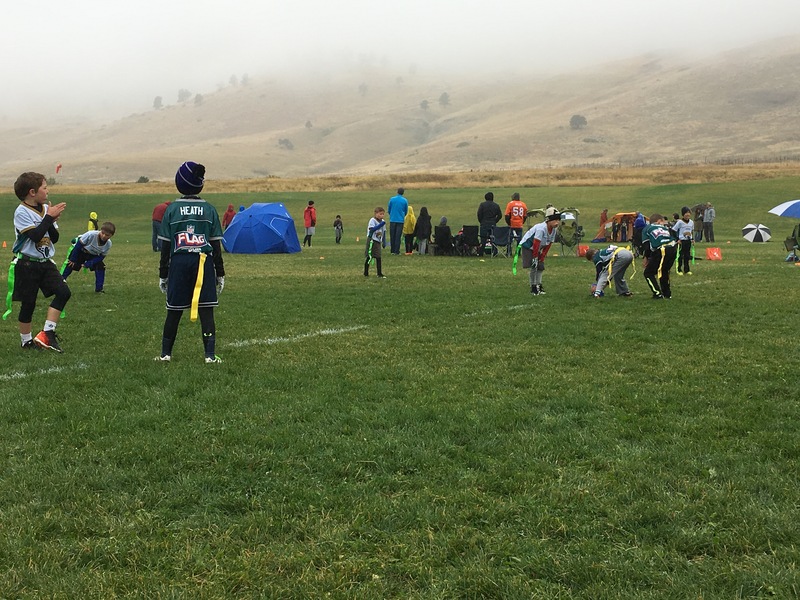 The above pic was our first flag football game. Cold, rain, fog did not cancel it and it just goes to show that life never slows down. Made with an odor-fighting formula with ingredients derived 100% from nature like soothing aloe, odor-fighting hops extract and organic sunflower seed oil. Read more about Tom’s of Maine 24 hour long lasting natural deodorant and the 10 scents they offer. Why did you switch (or will switch!) to Tom’s of Maine? Also check out my post on Why I Choose Tom’s of Maine Toothpaste for my family too! WIN these 3 Tom’s of Maine Long Lasting Natural Deodorant! This giveaway will end on Oct. 9, 2017 at midnight MST. Winners will be drawn via rafflecopter. Once a winner is drawn I will contact them and they will have 48 hours to reply before I draw a new winner. Giveaway is open to anyone in the US. You must be 18 years of age or older. Giveaway is not affiliated with Facebook & I release them of liability. Winner will be posted in the rafflecopter widget. over 20 years ago I stopped buying deo's made with aluminum when I was informed about the definite link to alzeheimer's, then as I learned more about what synthetic chemicals do when they are absorbed through the skin I started buying only all natural deodorants. I switched to Tom's last spring and I'm so happy I did. I haven't tried the long lasting, but I will now. I have never tried their deodorant. I would like to try it. I changed to natural deodorants along time ago, because of hearing of all the negative elements to aluminum and other ingredients. I love natural deodorant. Never tried this one but definitely will now! because I'm always willing to try something that I've never tried before that may work better than my current brand. I have heard mixed reviews about Tom's Deodorant. Some friends don't like it so I want to try the Lavender and see for myself. I think I might like Tom's brand. I would switch to get away from the aluminum in deodorants. I haven't tried this brand before, but I'd like to. I actually did switch to Tom's of Maine because I was having some itching and burning going on while using Dove. I would be happy to switch if this is better than what I currently use. Thanks for the giveaway! I tried Primal Pit Paste but it only worked okay for me. I prefer to use natural items on my skin and would love to try Tom's! I switched to Tom's before going to bed because some of the ingredients in other deodorants (like aluminum) are concerning to me from a health perspective. I like the natural ingrediants of Toms so if it is as good as the one I use-I'll switch. I have been toying with the idea of switching to a more natural alternative deodorant. Would love to try Toms. :-) Thank you. I haven't tried a product like Tom's because I feared it wouldn't "deodorize". I have to change up what I use because they seem to stop working as well. It can't hurt to try Tom's. I switched to Tom's many years ago because of my concerns about breast cancer and traditional deodorants. Wouldn't switch to anything else. I would be willing to switch deodorants because I prefer natural ingredients! I have never tried this brand but if it works better then the deodorant I use now then I be more then happy to switch. I'd like to switch to eliminate the aluminum and chemicals from my deodorant. I am tired of sweat stains on my clothes and I hear this brand works great to prevent them. Always looking to try out new products to see how I like them. I switched because of the aluminum risk you mentioned in your post. I am frustrated though, that safer options are limited and on the pricey side. I've used Tom's and liked it but am currently trying some Primal Pit Paste. So far I like it too. I'd like to try it as it doesn't contain aluminum. I would like to try a natural deodorant. I would like to switch to a natural deodorant. I've been using non-aluminum deodorants for years. I figured it was better to be safe than sorry. I haven't tried Tom's of Maine though; would like to see how well they work. I actually bought Tom's of Maine teen deodorant for my teen son and daughter! I recently switched to Tom's the mango scent. It's the only thing I found to really keep the postpartum funkiness in check. I am now a customer for life! I would like to switch to a brand that I trust that has my best interests at heart. I am looking for a deodorant that is more natural for me and my family. I switched because of the chemicals in regular antiperspirants. My daughter started wearing deodorant this summer (OMG when did she get old enough for deodorant?!?) and she prefers the apricot scent to the lavender (the one I use). I bought some of the girls' Wicked for Christmas on Zulily for her stocking - I'm hoping she will like the scent! I want to try the Tea Tree!! I switched because of all the bad things I heard about aluminum in deodorant. My DH won't make the change, but I only use Toms! I would switch because these are natural...no chemicals. I also love the scents available. I look for different types of deodorant that aren't spray as they aren't good with the atmosphere. I like natural products. I currently use Secret, but I've really been thinking about switching to a more natural deodorant because the articles of aluminum/risks of breast cancer in regular deodorant scare me. I do need a pretty hefty odorizer because I sweat a lot. Thanks for posting this. I may give Tom's a try! I'm trying to use more natural products due to health / allergy issues. I like to try new products. I'm always looking to try a new product. I have a lot of achemical sensitivities so I am switching to all natural products as much as possible. I don't currently use natural deodorant but want to change. I would love to try some different ones out to see how well they work for me. I have not yet switched but I've been looking for a good natural deodorant to try. I'd like to switch to a natural deodorant to get away from the aluminum in regular ones. I use their lavender and have for at least 3 years. Thanks for the contest. I'd like to try this deodorant because it has no aluminum, parabens or artificial preservatives. I would like to try a natural deodorant. Less chemicals would be a good thing. I would love to switch to another all natural deodorant! Not only for less chemicals for my body, but my current deodorant seems to actually make me sweat when I wear it! I would love to try this deodorant. Looks great. 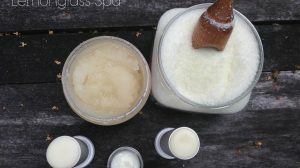 I'm trying to get rid of all products with chemicals so I would love to try this natural deodorant! I had to switch to Toms, from Degree because I was getting really bad rashes. I haven't had a rash since I switched. Thank you! We love Tom's products, especially their toothpaste. I have been trying to switch to more natural and safe deodorants. I try to be as natural as possible. 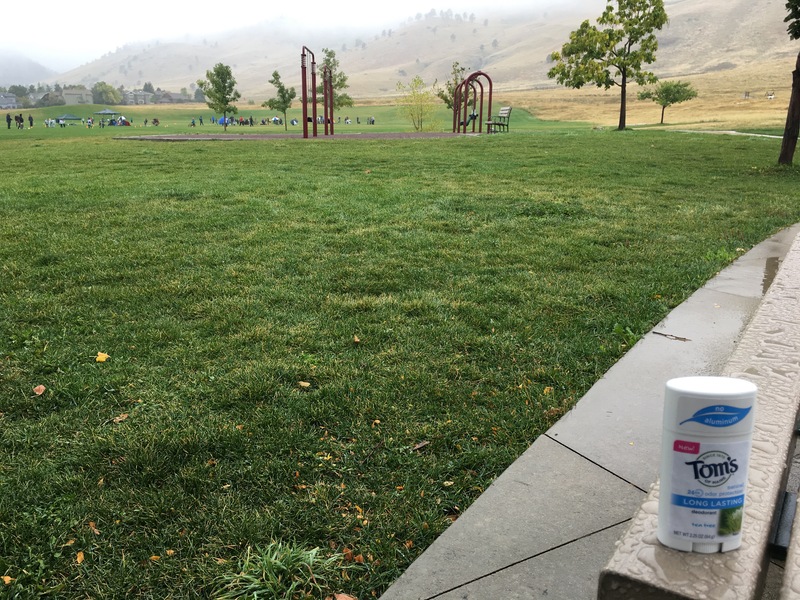 I am looking for something natural that keeps me and my family dry all day. I want everything as close to nature as possible. I like the idea of natural. When looking at the stuff I use now it scares me mainly because I hear of "those" stories. 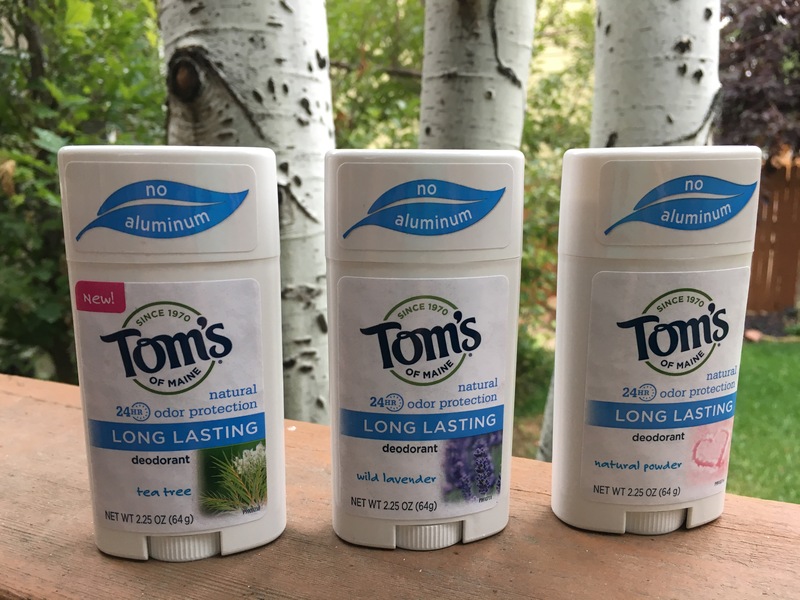 We already like the Tom's toothpaste and use it, but we'd sure like to try the deodorant to see if we like it before we switch. Thanks! I will switch. I too am concerned with chemicals in beauty products. I want to use natural products. I will consider switching deodorants. I'd like to try Tom's. My current deodorant isn't getting the job done.